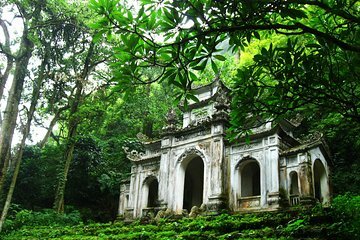 Voyage downstream from Hanoi and behold the Perfume Pagoda, one of northern Vietnam’s most significant pilgrimage sites. Get an early start with hotel pickup and a tranquil boat ride, with scenic mountains and rice fields alongside during the journey. This guided day trip includes a scenic boat ride and a stop for lunch. One-way return transfer by cable car.